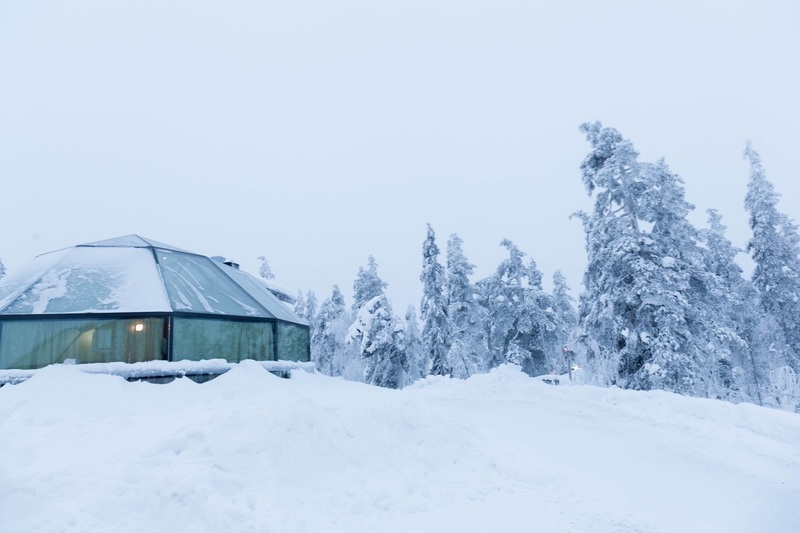 Prior to the trip, there are not much information available in the web except articles saying that everyone must stay at the legendary glass igloo. Thus I have write up a list of things you need to know before heading over. Read my adventures here and here if you have missed out! Taxi are quite expensive considering it is a short 15 minutes trip and it cost around 20-30 euro. Thankfully there are Airport Taxi for small group of travellers like us. We used airport taxi on both occasions Helsinki Airport to Helsinki City Area & Rovaniemi City Center to Rovaniemi Airport. We paid 30 Euro for a trip from helsinki city centre to helsinki Airport and 7 euro per pax for one way trip to airport from Rovaniemi city centre. Pretty reasonable for 2. If you are travelling in group, it is recommended to get a taxi. We flew direct to Helsinki and took a domestic flight Rovaniemi via Finnair. Although the overall experience with Finnair is pretty good but on the downside, delays seems to be a common thing with them. Flight was delayed in Singapore and somehow delayed on our way from Helsinki to Rovaniemi. Thus it is important to include sufficient buffer time. Fortunately we made it on time for our bus to Levi! Data are considered to be affordable and good in Finland. We purchased our Elisa SIM card in K Supermarket for 6 euro and it serve us well. With only 0.99 euro unlimited data per day for 4G service, one is never afraid that you will not get lost in Lapland and Helsinki. Day time are short during winter. In 4 hours time, the skies turn dark. Also, the temperature in Finland can have drastic change. On normal days in Levi it was -17 degree, -30 when we were having fun with the huskies and on some night it get a little warm with temperature going up to -1 degree in Rovaniemi. Nonetheless according to our guide, he said this is the normal range. Thus it is important to dress well for winter. Like every kiasu Singaporean, we layered ourselves with thermal, fleece jacket, down jacket and lots of heat pack! & thankfully it works because while we were having fun in the husky farm, we saw other tourist jumping around cause they were too cold. Other than tourist roaming around the streets, you will find most shop (except restaurant) to be closed. The supermarket and kiosk will be close from christmas eve to boxing day. Thus it is advisable to not visit Rovaniemi during these period. We will dine in restaurant once per day. Meal range from 15euro to 25 euro. Average 60 Euro per day for 2. Hi, i'm planning a trip to Finland this coming Christmas. Part of our itinerary is to visit Rovaniemi 22-24th & Levi igloo 25th-26th. And i understand fr ur blog that most shop will be closed during this period. Does this typically applies to safaris as well? Hello KL! Most shop in Rovaniemi close on 24th Night to 26th but most safaris operator still work during this period as its their "peak" period. However you might want to book early as it is quite popular. Drop them an email to the safari operator to check on their availability and confirmation! They almost missed us out on the northern light tour! The sky had turn dark when we got back from the 10am slot. Thus there is a high chance you will be riding in semi-dark. Personally, i love the view in daylight and think riding in semi-dark is pretty cool too! Are you planning to visit lapland region any time soon? or do you have any other activities that you can do during that time? If not, perhaps you should try husky ride! Do share with me if you are trying it! I would love to hear your experience! YES!!! Am so excited. I'll be visiting during Christmas too. Just like you, i definitely prefer the view in the daylight but riding in semi-dark sounds quite magical as well? Still struggling if i should go with 2pm slot. As i'm really worry that it might be too dark to take photo & all? Typically, what time to what time can i get decent sunlight in Levi? 9am-12noon? Haha yes thats a real struggle! Taking photos in the dark is a challenge. What's more in the husky cart! Daylight in levi is typically around 10pm - 1pm (3hours). Hope you have a fun time! Merry Christmas in advance! Hello.. the prices you have like the ticket/activities prices is it for each pax or for two? Thanks a lot!! Hi! It's for one person!